When charged with the task of choosing a restaurant for a work-related meet-and-greet dinner, I was thrilled. 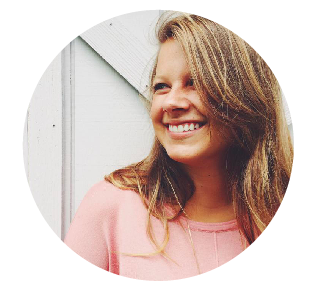 I love choosing restaurants, and since moving home, I had created a list that had yet to be explored. So, through a relatively uninspired process of elimination, I chose The Millworks, a restaurant in Midtown, completely sight unseen. Skyler and I were the first to arrive, and as we stepped through the front door, I was struck by something I wasn’t expecting to find inside of a restaurant: art – and lots of it. 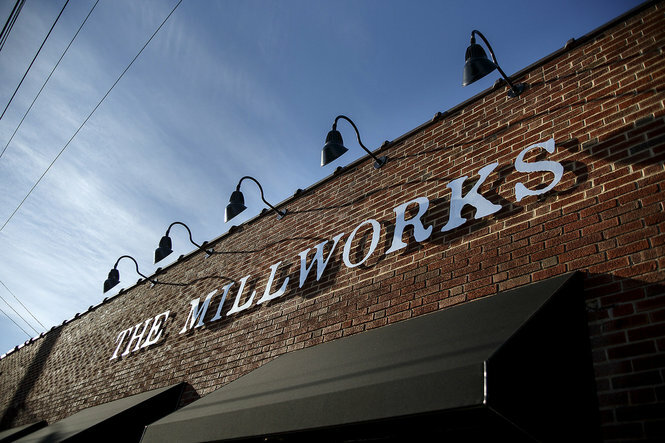 It turns out, The Millworks is home to 31 different artists, each with an open-concept studio. Guests are able to peruse the entire 24,000 square foot space, watching artists create a variety of pieces. Some artists’ studios are even visible from your seat at the bar. Find something you like? Well, you can purchase a myriad of goods from gallery. As the rest of the gang trickled in, we took our seats in the dining area. Our waiter came over, and launched into a brief history of The Millworks, including its steadfast focus on local and sustainable food, sourced from growers in the Central PA region. Nearly 50% of the materials required in construction were recycled or repurposed. The table we sat around was made from lumber that occupied the building at purchase; the bricks surrounding the fireplace were from an 1830s farmhouse in Perry County; few of the light fixtures were taken from Broad Street Market circa 1920s. Every part of the decor spoke to the sustainability of the building as a whole. Even our water glasses were made from recycled wine bottles! We ordered the Urban Picnic as an appetizer – a charcuterie board filled with freshly baked bread, locally cured and smoked meats, local grass-fed dairy artisan cheeses and pickled vegetables. My winning combo? Bread, mustard, soppressata, goat cheese and pickled carrots. Sounds odd, tastes delicious. For dinner, I ordered the House Made Pastrami Sandwich, which wasn’t a far cry from my go-to Reuben. (Not pictured, because it was ugly. Seriously – not photogenic.) Skyler went with the Crispy Fried Chicken Sandwich (look at that adorable ramekin of ketchup! ), and my boss ordered the Slow Roasted Meatloaf. Everything looked/tasted uhhhhmazing. And because no dinner is complete without dessert, we ordered two for the table: Peach Cobbler (my choice because, duh – peaches), and a Vanilla Bean Custard. The perfect end to a well-rounded dinner. PS: Quick nod to The Millworks’ own beer offerings… I couldn’t keep my hands off of the Farmhouse IPA Skyler ordered! Delish.